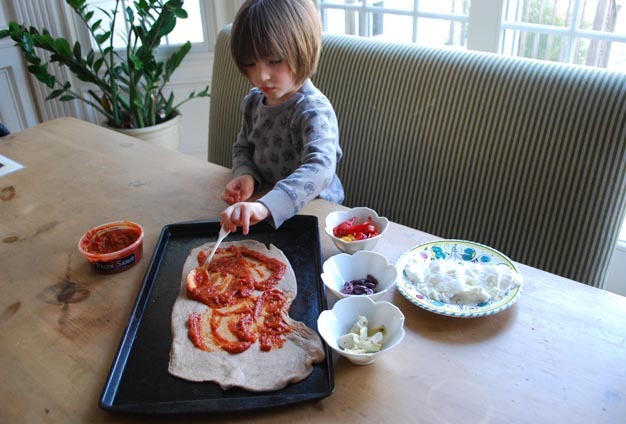 Trying to get the kids to eat more veggies? Throw a pizza party! 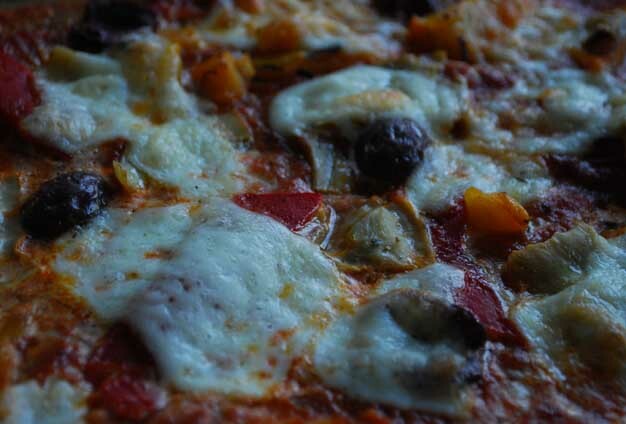 Start with whole wheat dough and pizza sauce (we got ours from Trader Joe’s), add a variety of healthy toppings (get creative…we used artichoke hearts, kalamata olives and roasted red and yellow peppers) and some fresh mozzarella. And top it with fresh mozzarella. Some extra veggies (and vegan cheese) for mommy!! Bake in a 450 degree oven for about 10-15 minutes and ENJOY!